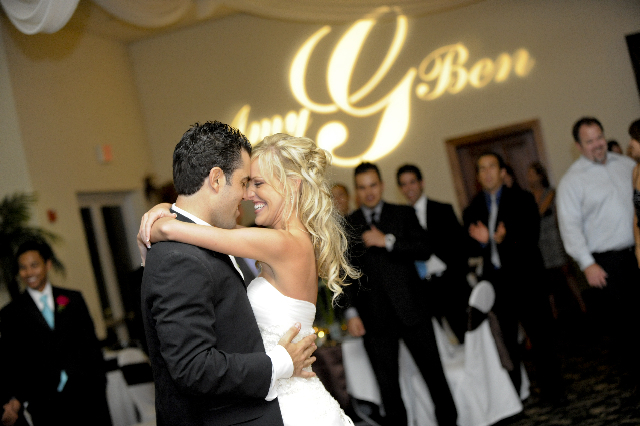 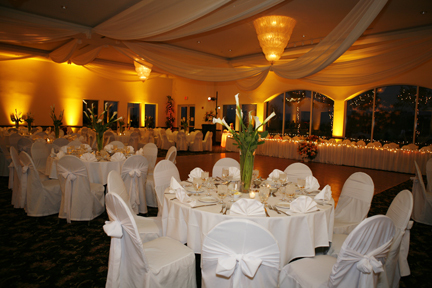 Golden Sound Entertainment DJ Lighting in LA provides DJ's & Wedding Lighting Design Services to Los Angeles and Orange County Areas. 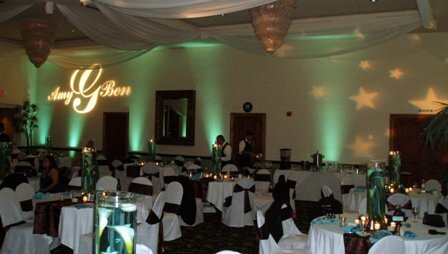 wall lighting, gobo lights, up-lighting and LED Light fixtures wall washing with color to light up the room and completely "Wow" your family & guests. 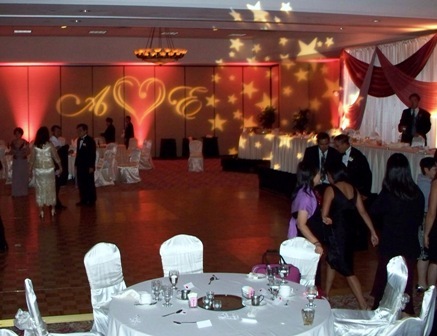 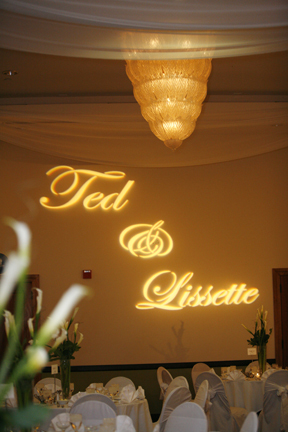 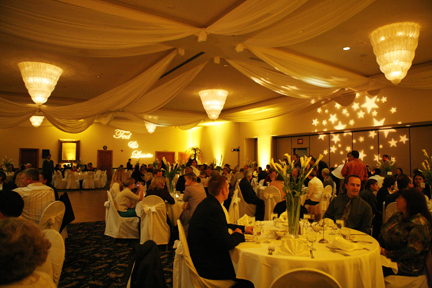 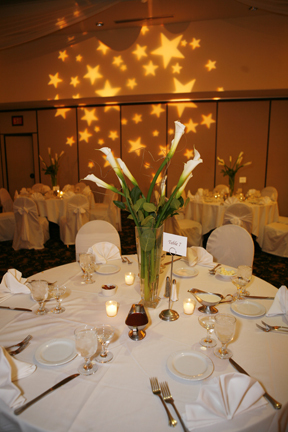 You can also surprise them with a custom gobo light projecting your name on your dance floor, wall or ceiling at your wedding reception.